Democratic presidential candidate, former Secretary of State Hillary Clinton and her husband, former U.S. president Bill Clinton, appear at a campaign event on February 19, 2016, in Las Vegas, Nevada. 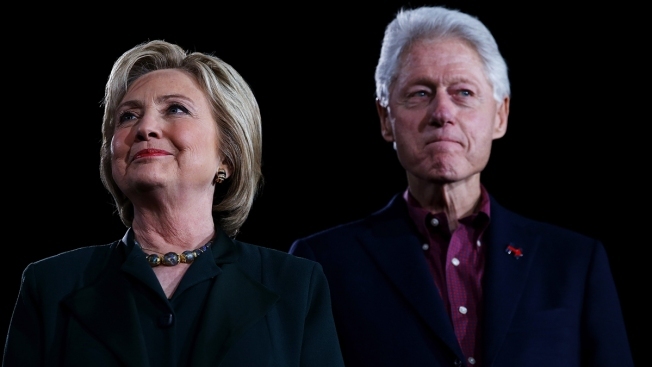 The notion of a 2-for-1 Clinton presidency is back. Recalling sunnier days of growth, low unemployment and budget surpluses under her husband, Hillary Clinton is telling Americans that Bill Clinton will be "in charge of revitalizing the economy" if she wins the White House. What his work would be remains unclear: not a cabinet post, she indicated. But, as she has been saying for months, she expects him to play a leading role. Bill Clinton reigned over a strong economy, especially in the final years of his presidency, yet his economic legacy is mixed. The late 1990s were the last period to see sustained income gains for the typical American household. Middle-income wages have stagnated since then. But his refusal to step up regulation of exotic financial instruments known as derivatives was blamed in large measure for the collapse of the financial sector years later. The tech bubble of his time burst. And his agenda was driven by support for free trade deals, including one that gave China better access to the U.S. market, that are held responsible by elements of both parties for driving jobs out of the country. Still, in those pre-9/11 days, it's a stretch of peace and prosperity like Americans haven't seen since and with her latest remarks, in Kentucky, Hillary Clinton is more firmly laying out how important he would be to her agenda. The situation is highly unusual: Not only would Clinton be the first president to have a "First Dude," she'd also be the first to have a former president in the East Wing. Now, facing a two-front fight against Bernie Sanders and Donald Trump, she's stressing that Bill Clinton would be an asset in her administration, particularly with the kind of Southern white voters who once backed him but now are drawn to Trump. "Tell me anybody else who's been here as much or knows us as well," said Democratic Sen. Joe Manchin, of Bill Clinton, during a campaign event in West Virginia. Hillary Clinton lost that primary — a state her husband won by double digits — earlier this month to Sanders. The GOP front-runner and his team are making a different political bet. They see Bill Clinton's history of scandal as ripe for exploitation. Still, in recent weeks, Clinton has begun sketching out a bit more of a role for her husband, though there is great ambiguity. She told West Virginians that he'd focus on helping economically distressed communities, like those in coal county, reinvent themselves in a changing economy. "You'll get sick of seeing him," she said earlier this month. "This gets him really, really excited." Spokesman Nick Merrill said Monday that despite the candidate's description of her husband's in-charge role, Clinton would be getting ahead of herself to talk about "any sort of formalized role for anyone." But, he added, Bill Clinton "has a lot to offer and it would be foolish not to use that in some capacity." More any other political couple in recent American history, the Clintons have long viewed themselves as a joint package. Shortly after entering the White House, Clinton appointed his wife to head the administration's effort to pass a major health care bill. The failed measure became known as "Hillarycare." But as the party has shifted to the left during the Obama administration, Hillary Clinton repeatedly found herself forced to repudiate key pieces of her husband's legacy during her primary campaign. She's distanced herself from the North American Free Trade Agreement, the federal law that defined marriage as between one man and one woman, and the "don't ask, don't tell" policy that banned gays and lesbians from military service. Hillary Clinton has also faced criticism for backing the 1994 crime bill, which led to tougher sentencing for drug offenses. Her campaign is calculating that in the general election, Bill Clinton's strong economic record outweighs the criticism. Over the next 10 days, Bill Clinton is scheduled to campaign in Puerto Rico, the U.S. Virgin Islands, New Mexico, California, South Dakota, North Dakota and Montana. Late in Clinton's presidency, unemployment dropped to 3.9 percent, its lowest level since 1970. 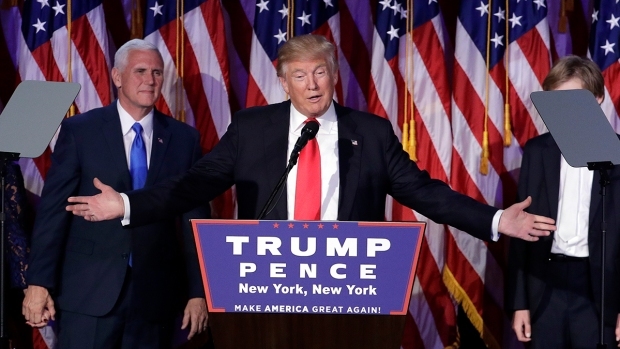 It's 5 percent now — and he set a record in monthly job growth in the post-World War II era. Growth averaged 3.8 percent, better than the record under Ronald Reagan and a far cry from the 0.5 percent of the last quarter or the 1.4 percent of the quarter before. But Clinton also came to office when a recession was ending; Barack Obama stepped into a worsening one that would be unrivaled since the Depression. Broadly-shared prosperity is what President Clinton is known for, so I am thrilled Hillary is deploying my old boss," said former Clinton aide Paul Begala. "Wherever two or more are gathered, there, too, should he be." Campaigning in a smoky diner in Paducah, Kentucky, on Monday, Clinton was surrounded by people who affectionately recalled previous visits by the Clintons. Bill Clinton campaigned in the town right before the 1992 election that made him president. Joanne Clark, 54, exclaimed that she had shaken hands with Bill Clinton all those years ago. "He's gotta get out of retirement!" replied Hillary Clinton.